How can you measure whether employees are using your Office 365 intranet or collaboration experience? AddIn Analytics is a visual and easy to consume report that documents employee adoption levels across the Office 365 platform and AddIn365 products. The report maps actual Office 365 and AddIn365 product usage against success metrics defined by your organisation. 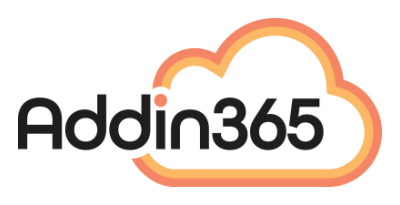 AddIn Analytics helps organisations to generate then maintain a high level of Office 365 adoption across the workforce. Which Office 365 Services Will We Use? AddIn Analytics is a Microsoft Azure and Power BI application that supports Microsoft’s content adoption pack. AddIn Analytics delivers you a holistic view of employee adoption across your Office 365 and AddIn365 platform.